ASHEVILLE – The best thing about CARING for Children's big house in West Asheville on Thursday evening was the people inside. While it was true that each girl there had her own story of abuse and neglect that would make anyone's heart flinch, you wouldn't know that by siting down to a meal. "We're just like anyone else," said resident Zena Redmond, 18. "We want the same things; we just don't always get the same things, or even get them at all." Called Cornerstone, the house is a transitional living home for girls ages 16-21 with nowhere else to go. Just like my sister and I used to do in the early 1990s, the girls at Cornerstone style each other's hair. They argue with their moms over the phone. They eat dinner in their pajamas. They have dreams of being models, actresses and teachers. They can't wait to finish high school and go off to college. They take turns doing chores. They share rides to school. And, even though they won't all admit it over this particular meal of pork chops, cabbage and mashed potatoes, Redmond insists, they see each other as family. Sometimes they love each other; other times they can't wait to get away. Cornerstone is set up to teach teenagers in crisis independent living skills in a home setting, said Terri Bowman, development director at CARING for Children, a local nonprofit that seeks to nurture hope and create safety in the lives of children and families in crisis throughout Western North Carolina. It offers 10 specialized programs and services for more than 1,000 children and families annually. There is an extensive foster care program, residential group homes and outpatient counseling. Cornerstone uses a teaching-family model, with teaching parents who give guidance and model responsible behavior, Bowman said. Residents learn about meal preparation, budgeting, goal setting, personal health care, home management, community resources and responsible work behavior. 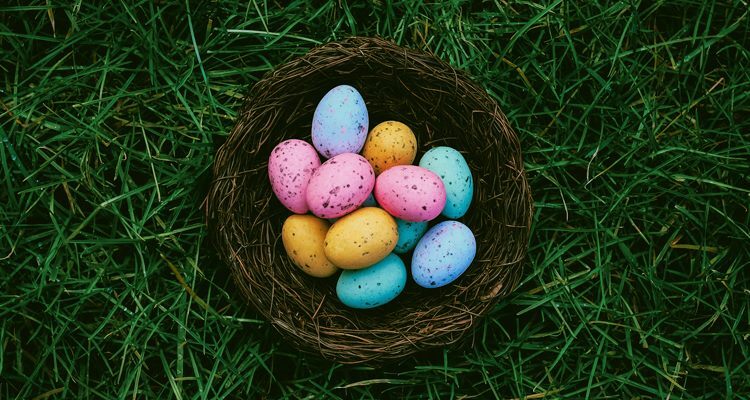 Youth attend school, perform volunteer service and gain maturity and problem solving abilities while living in a safe, supportive home environment. Last year Cornerstone served 17 girls; nearly 80 percent left the program to stable housing. The job was simple: Just go and have dinner and talk about your life, Bowman said. When I told the girls about this plan, they were quick to chime in on what kind of mentorship they wanted. Sometimes the people that come to help are patronizing, Redmond said. Volunteers think of the house as a charity case, she said, but that's not what the girls inside are all about. "We have felt sorry for ourselves enough," said Bailey. "I don't need anybody else to feel sorry for me. I like my life. I don't like what I've been through, but I'm strong." "I want someone to come here because they actually want to be with us, not because they have to get volunteer hours in, or because they're a therapist. I just want to hang out. I don't want to keep telling my story." CARING for Children is always looking for foster parents, volunteers or people just wanting to hangout and be a positive role model for a child in need. 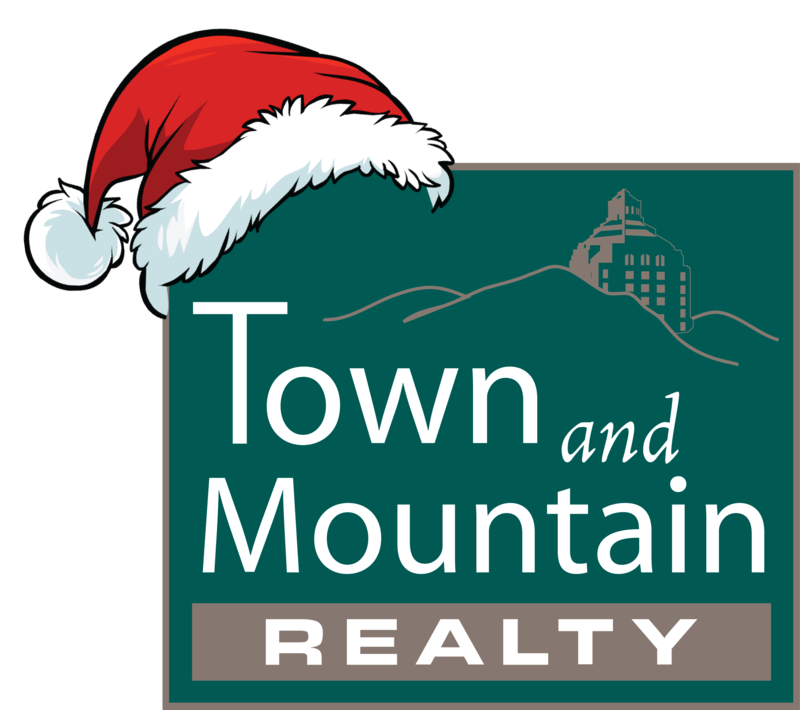 The organization currently needs volunteers to purchase holiday gifts for 125 children in the nonprofit's foster care program. 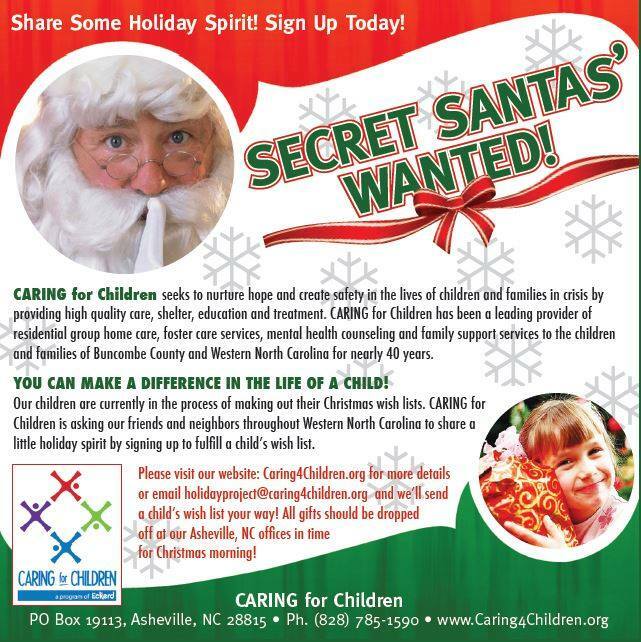 Secret Santa gifts must be delivered by Dec. 19 to the CARING for Children office, 50 Reddick Road, Asheville. To sign up, email HolidayProject@Caring4Children.org or call 785-1590.